We love our quirky teachers – they are the ones that sometimes make the college experience way more fun than it already is. 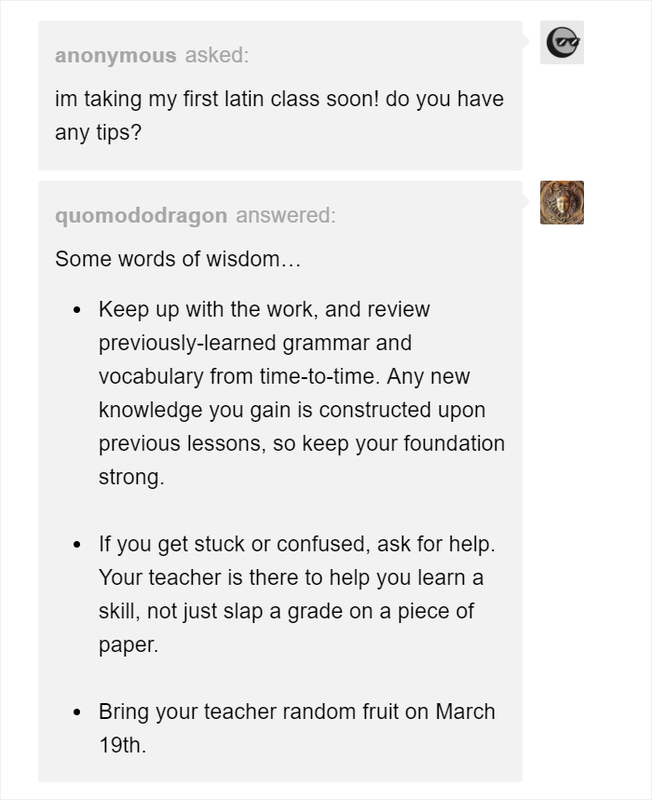 A friendly and down-to-earth professor makes learning a lot easier and way more enjoyable. 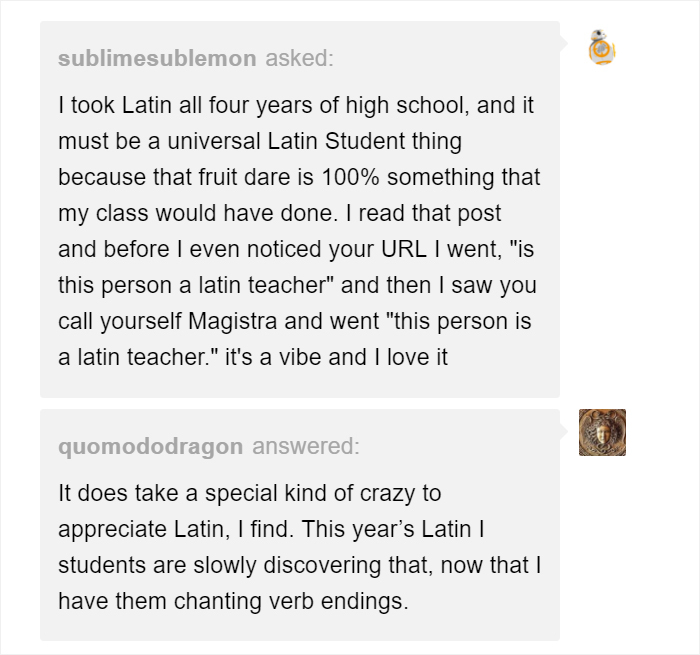 A Latin teacher, who goes by the name Quimododragon, is one of these upbeat educators. 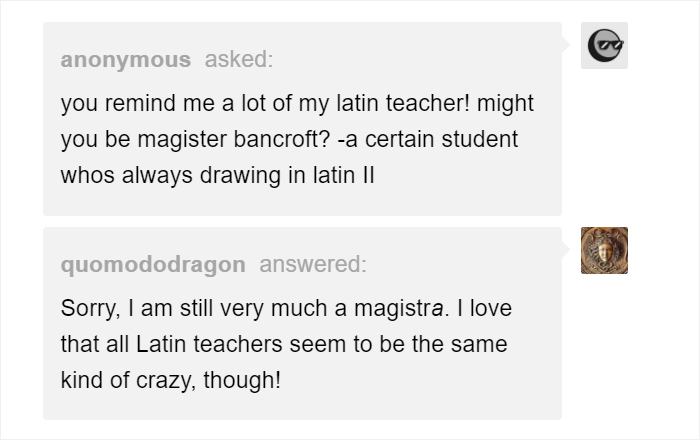 On her Tumblr page, this cool professor describes herself as a Latin teacher with too many cats and an OCD – but what makes her most remarkable is her sense of humor. 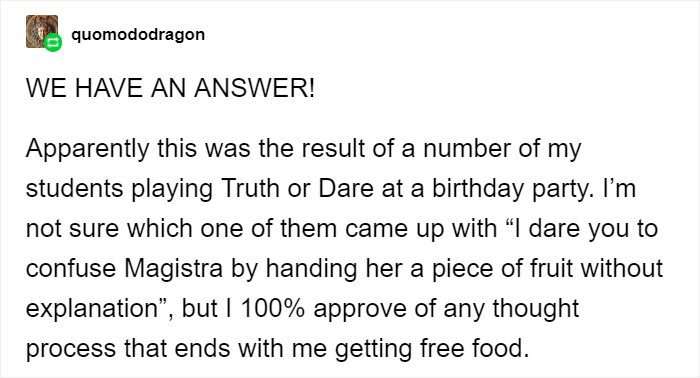 Not too long ago, Quomododragon shared with Tumblr her students’ attempt to prank her.